Take an e-ink smartwatch that's got plenty of willing customers, throw in a WiFi-connected sensor box and well, imagine the possibilities. 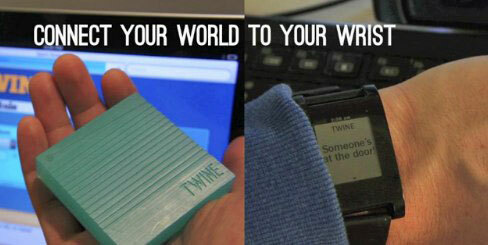 The founders behind Pebble and Twine hope you are, because they have announced that the pair will be connectable through the latter's web-based interface. This means you'll be able to setup text notifications to your wrist when your laundry's done, when someone's at your door and plenty more mundane real-world tasks. A brief video explains how it should all go down, but try not to get too excited -- pre-orders are sadly sold out. 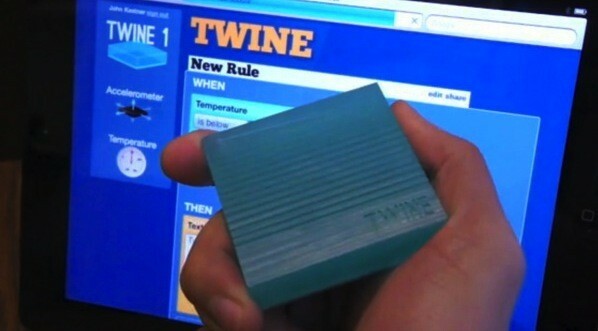 Pebble ties itself up in Twine: sounds so rustic, couldn't be any less (video) originally appeared on Engadget on Fri, 11 May 2012 16:41:00 EST. Please see our terms for use of feeds. Wouldn't it be great if your laundry emailed you when it had finished? You got a tweet every time the room got too cold, or your basement sent you a text if it began to flood? "Easy," says the Arduino expert in the peanut gallery, but what about those with neither the time nor inclination to solder and program it from scratch? Fortunately, the gentlemen who founded Supermechanical feel our pain and have just the tonic for our maladies -- head on past the break to find out more. Insert Coin: Twine connects your whole world to the internet originally appeared on Engadget on Thu, 24 Nov 2011 12:18:00 EST. Please see our terms for use of feeds.